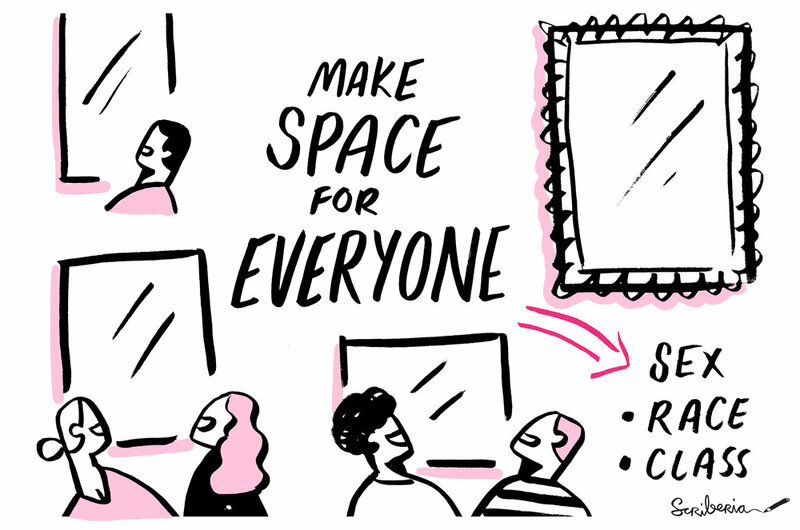 Visual storytelling has long been used as a way for silenced voices to express themselves. And this was certainly the case for many of the artists exhibited at the Tate Britain's show, Queer British Art 1861-1967. 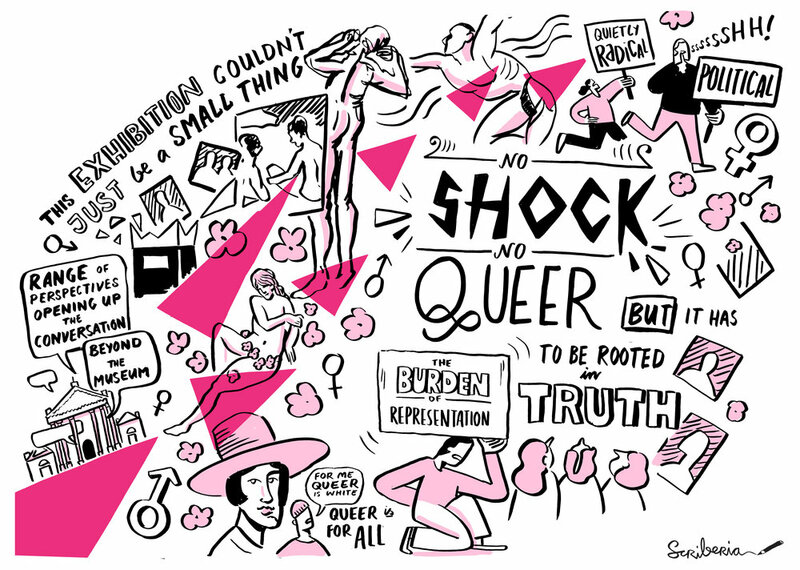 Our visualiser, Lauren, scribed the Tate's British Art Network event, which invited art historians and curators to interrogate the relationship between museums and queer culture. Academic Jonathan Katz took issue with the lack of queer in art institutions: 'the museum remains a closet', he says. While artist, Matt Smith, argued that you can find queer in the museum if you actively seek to find it. And in a similar vein, Dr Carolina Gonda explained how love between women in art is often coded; you must approach it through a queer lens.